Around the world, environmentally conscious individuals are trying to reduce the impact they have on their environment in various ways. This desire to live more sustainably comes out of concern over the long term effects human actions can have on nature. To achieve this goal of eco-friendliness, some change their construction practices, choosing to favor “green” materials that are either sustainably manufactured or aid in keeping the home’s energy usage down. For the majority, living in this environmentally friendly manner is a lifestyle choice, but in the state of California, recent revisions to Title 24, Part 6 of the state’s building code, also known as the California Energy Code, aim to make it the norm. The revisions are in line with the state’s desire to achieve net zero energy in residential construction by 2020, but rather than resist, many Californians are taking the state’s goals to heart. 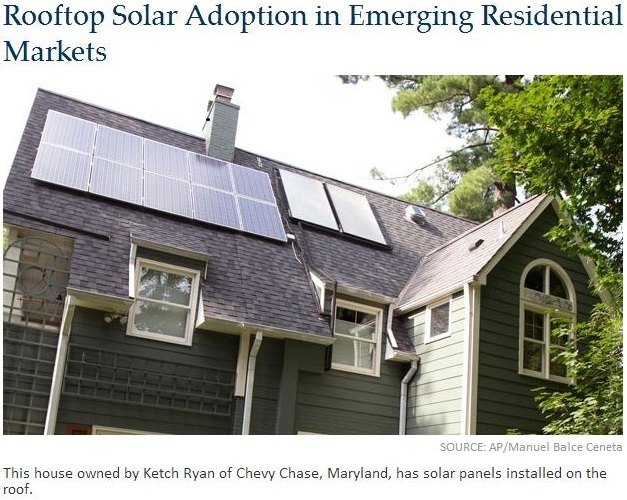 In fact, according to a recent article by the Center for American Progress, after the state government announced it would be providing rebates to residential and nonresidential solar customers, residential solar installations shot up from 2,000 in 2007 to more than 90,000 today. California’s initiatives and the collective will of its citizens to participate in the changes it proposes also has an impact on roofing contractors in Palo Alto, CA. The changes to the building code now require contractors to favor materials that minimize heat transfer through the building envelop, allowing for more efficient heating and cooling. However, while the changes mean that contractors will have to put in an effort to adapt, the mood about it is generally positive. With the code revisions, clay and concrete roof tiles, which have higher reflectivity and better insulation, are now the preferred roofing material. While this entails an extra cost for homeowners, it does, however, also mean that contractors are obliged to provision homes with much more durable roofing solutions. Homeowners who are concerned about the additional cost to construction or reroofing projects that installing a cool roof entails should also be aware of the fact that they can actually save in the long run because of it. Having a cool roof means that less energy needs to be spent keeping the interior of the home cool in the summer and warm in the winter, which cuts down on households’ annual utilities bills. Respected Palo Alto roofing companies, like Shelton Roofing, can help consumers understand how the new revisions might affect them. Such companies can also leverage their experience in the region’s roofing industry to guide customers undertaking Palo Alto roof repairs or major reroofing projects toward making the best decisions in line with the new regulations.